Watching my daughter in a school hockey match recently, it wasn’t the on- pitch action that grabbed my attention, but the black Chanel fingerless gloves sported by the mum standing next to me. After noticing my interest, she explained they were to hide scabbing from a hand-rejuvenating laser treatment. Feeling inadequate in both the glove (I wore H&M stretchy lurex) and hands department (mine were red and chapped after morning dog walks) I made a mental note to up my game. A couple of phone calls later and it is clear I am not alone in feeling self-conscious about my mitts. Dr Sebagh’s Wimpole Street clinic for anti-ageing ‘tweakments’ reports a 30 per cent rise in clients asking for hand treatments. The beauty industry is on board too, — there have never been so many products designed to improve the appearance and condition of our hands. 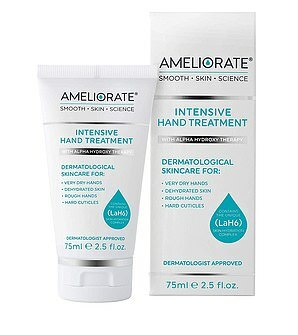 In the past month alone five new hand creams have been launched in the UK by major brands, one costing more than £100. Thea Green, founder of Nails Inc whose hands are regularly on show on the QVC shopping channel, says it’s all about moisturising. ‘Dryness is the first problem to solve — especially at this time of year with the cold temperatures robbing skin of moisture,’ she says. ‘Moisturising hands as much as possible, exfoliating and applying a weekly hand mask can make a big difference. To banish age-spots and boost collagen to tighten skin, try a Fraxel Laser session (drsebagh.com, from £350). ‘The advantages of the Fraxel laser over an IPL laser is that there is no downtime afterwards, just some barely visible micro-scabbing,’ says Dr Diana Piana-Mariton from Dr Sebagh’s London clinic. It may take several sessions to remove age-spots but as long as you apply an SPF afterwards, the results can last two or three years. In some cases, the marks may not come back at all. For volume loss and intense rehydration, Dr Holly Cole-Hawkins at the Waterhouse Young Clinic in London, recommends Profhilo hyaluronic acid injections (waterhouse young.com, from £490). ‘Clients love the plumping, hydrating and radiance-boosting effects,’ she says. You will need at least two treatments. The plumping effect can last four months. When it comes to plumping thinning skin you can, of course, have filler injected. 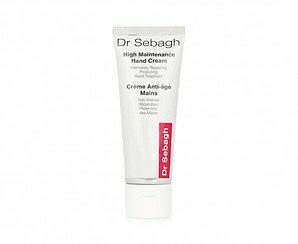 Dr Sebagh warns, though, that if the wrong sort is used — or if too much is used — hands can look chubby, not the desired effect at all! He uses new product Ellanse (drsebagh.com, from £500), a collagen-stimulator that works to improve the overall quality of the skin and produces subtle, elegant results that can last up to three years from one treatment. Dr Sebagh, however, thinks we need more than just moisturisation: ‘Hands need to be treated like the face to get them in good shape,’ he says. This is the theory behind a new Skin Laundry dual treatment at Liberty, London — a 20-minute Laser and Light Facial and Hands session (£85) combining a medical-grade YAG (infra red) and IPL (Intense Pulse Light) laser. After the face has been worked on it’s the turn of the hands, which are cleansed before the laser is passed over the skin. The laser uses light energy to break up pigment and help fade sun or age spots, and to stimulate collagen and elastin production to tighten the skin on the back of your hands. It’s not painful, and just feels like a fine elastic band flicking your skin. I was sceptical as to what could be achieved in such a short time, but after one treatment there was a definite improvement. My knuckles were less red and wrinkly, and the skin on the back of my hands felt the smoothest it’s felt in years. The skin looked plumped-up, less crepey and had a lovely sheen. They looked like glamorous, hands that didn’t go near a kitchen sink. And the effect lasted ten days. Age spots will definitely not improve after one session — at least three or four would be needed for this. 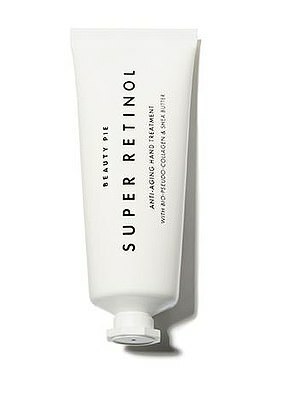 But it’s a great one-off transformative treatment for chapped, winter skin. I splashed out on a celebratory Shellac manicure for maximum impact at the next hockey game. 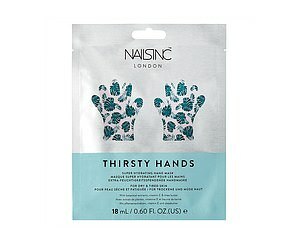 This super quenching hand mask includes high levels of Vitamin E and shea butter to drench skin with moisture. For best results, exfoliate the skin on your hands before applying. This AHA formula with lactic acid works its magic on rough, chapped skin. Use as a night treatment — and apply an SPF during the day as AHAs (Alpha Hydroxy Acids) increase the skin’s sensitivity to the sun. The perfect handbag staple. Broad spectrum SPF25 UVA and UVB protection prevents further damage, while high levels of hyaluronic acid sink straight into parched dry hands to plump them up. Water-based and non-greasy, it means you can get on with whatever you’re doing straight after application. This silky formula is instantly absorbed and can be used throughout the day as many times as you wish. A terrific hydrator, the skin has a beautiful sheen after applying. 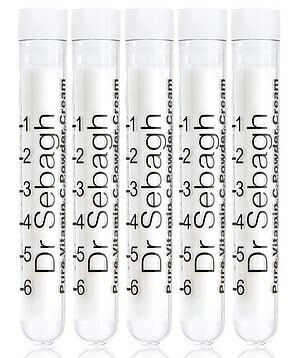 For added lightening and skin brightening benefits (and fading age spots) Dr Sebagh encourages his clients to use this with this. And once a day, just mix a little of the vitamin C powder with the cream before applying to your hands. 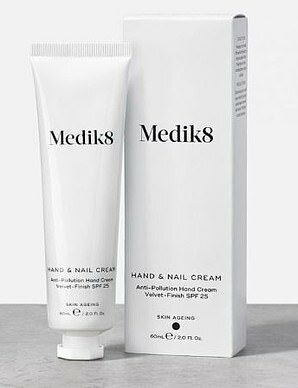 This has retinol to fade pigmentation and fine lines, plus glucosamine (normally taken orally) to help increase the skin’s hydration and plump up fine, crepey looking skin on the back of the hands. To use as a night-time treatment, simply slather on and pop on some cotton gloves. More of a night treatment, this includes slow releasing retinol, which reduces fine lines and fades age spots in about four weeks. Wear an SPF on your hands during the day after you’ve used it the night before.